Long time A16 Customer and avid hiker Gary Hogue summits Cowles Mountain in San Diego for the 10,000th time on March 17, 2018 with A16 President John D. Mead and many other friends. 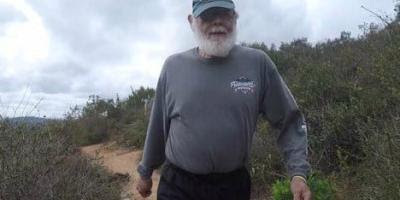 Gary started hiking Cowles in 1983 to shed a few pounds. It changed his life and he inspired countless others to hike with him all over So Cal and the Sierra. We all have a daily routine: eat breakfast, go to work... climb a mountain?